The Central Bank of the Bahamas has serious plans to issue its own cryptocurrency as a way to stimulate the region’s economic development and eliminate specific barriers that the population faces with the use of traditional FIAT money. 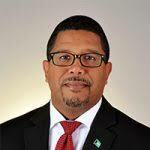 Kevin Peter Turnquest, Deputy Prime Minister and Minister of Finance of the Bahamas, unveiled the information in a speech at The Bahamas Blockchain and Cryptocurrency Conference. Previously, the BIS called for caution by questioning the advisability of issuing CBDCs; however, this is a sovereign decision of each country, even among those that are members of this institution. In addition to the issuance of national cryptocurrency, the senior Bahamian politician mentioned that the government is looking into exploiting the potential of blockchain technologies in areas other than finance. The Bahamas is what people call a “tax haven”, a particularly sensitive issue, because of the difficulty of tracing funds. This can result in a stimulus to money laundering. However, it also has particular advantages in providing its clients with a level of privacy and ease of capital storage that other countries are unable to provide. The conference ends this Friday. So far it has been highly successful, attracting a large number of participants from various parts of the world. This has also been a success for blockchain culture in the region.